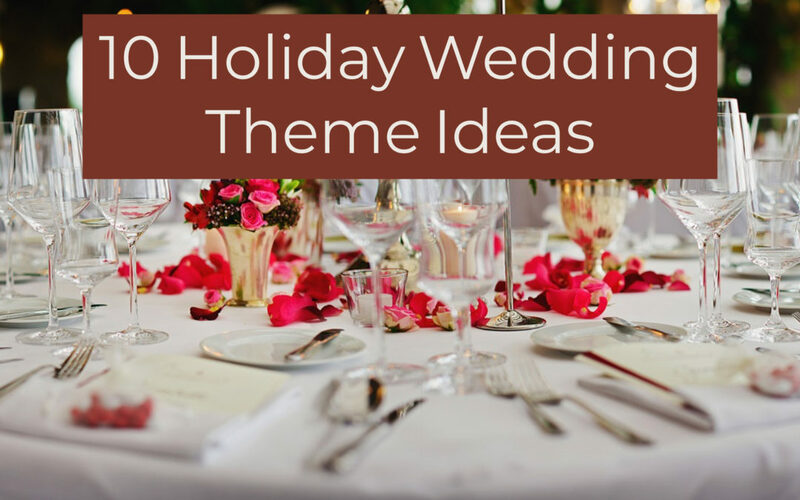 Holiday wedding themes can bring a festive feel to your celebration. From decorated tree centerpieces to cakes adorned in candy canes, we’ve put together a list of 10 holiday wedding theme ideas below. If you’ve ever visited Longwood Gardens during Christmas time then you’ll see why we love an all-natural, holiday wedding. If you haven’t visited and are looking to use fresh decorations, then go check it out. The hallways of the former du Pont mansion are lined with trees and festive firs that are sure to spur inspiration for your holiday wedding. 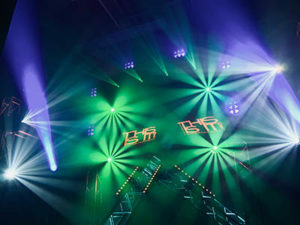 Want to engulf your guests in the holiday spirit at your wedding celebration, then utilize up-lighting and custom lighting fixtures that are programmed to create a holiday atmosphere. You can even incorporate an indoor snowfall effect to create a dramatic and dynamic atmosphere for you couple’s dance. Get inspiration from the Charles Dickens’ classic “A Christmas Carol” with dripping candles, lanterns and a string quartet. You can even create a modern twist of the Victorian era by adding little touches of history. Bring things back to a simpler, classic time that exudes elegance and fashion by having a retro, 1950’s themed holiday wedding. Classic and elegant, a wedding of silver and gold can be a breathtaking scene as guests enter your venue. Take a look at some pictures here for ideas on how to create a wedding palette of these beautiful colors. A wedding reception bathed in purple that is dramatic and romantic with a Nightmare Before Christmas Theme. Taking cues from Sally and Jack, there are plethora of ideas and ways to get creative with this theme. Go all in on a blue, icicle theme for your wedding by taking color ideas from the popular movie Frozen. From the Queen Elsa style wedding dress to a towering light blue, snowflake covered wedding cake, shower your guests with Disney magic and travel to the land of Arendelle. Bring the outdoors in with a Winter Wonderland theme for your holiday wedding. White fur and holly berries hanging from the trees. Snow covered branches and snowflakes dancing on the walls and ceiling. The Rockettes, Rockefeller Center, and the city streets. Capture the essence of Christmas in the city at your holiday wedding. Red and white candy dreams are a color scheme that pop and really encapsulate the holiday fun. These color schemes can be fun, but also elegant and refined. Take a look at some more visions of the candy cane color wedding here.